Invisalign Clear Braces is a discreet, comfortable option for realigning crooked teeth. Invisalign gradually shifts teeth into proper alignment through a series of custom designed clear aligners. 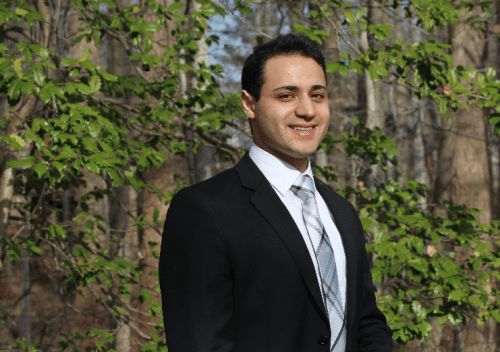 Dr. Nadder Hassan is a Manassas, VA area Invisalign provider offering patients straighter smiles without the stigma of traditional metal braces. Patients with straight teeth experience fewer oral health concerns than those with crooked teeth. Patients with crooked teeth typically have higher instances of tooth decay, tooth wear or damage and even tooth loss. Straight teeth promote better oral hygiene and allow for a more comfortable bite reducing the risk for TMJ. Traditional metal braces can be embarrassing, especially for young professionals. Invisalign allows patients to improve their smile without the hassle or stigma of metal braces. Aligners are so transparent, many people will not even notice you are wearing them. Invisalign can improve a patients confidence, and improve their overall quality of life and oral health. No patient is ever too old for Invisalign treatment. Dr. Hassan offers Invisalign for teens and adults. Invisalign provides patients with a discreet option for straightening their teeth. The clear, removable aligners help promote better oral hygiene for the duration of treatment. Patients are able to remove their aligners for thorough brushing and flossing as well as while eating so that they have no dietary restrictions. Dr. Hassan is professional, courteous, considerate and a remarkable dentist. Dr. Hassan and the staff make you feel welcome, calm and treats you as if you are their only patient.Theresa H.
A thorough oral health exam and bite analysis will help Dr. Hassan determine if you are a good candidate for Invisalign. Typically teens and adults with mild to moderate orthodontic concerns enjoy the optimal benefits of Invisalign. Dr. Hassan will take digital images of your teeth. Using sophisticated CAD/CAM technology, the images create a series of aligners that will be worn to gradually realign teeth. The exact length of treatment will vary depending on the personal orthodontic needs of the patient. The typical Invisalign treatment lasts for about 12 months and each set of aligners is worn for approximately two weeks. If you are looking for a dentist that offers Invisalign® in the Centreville, VA and Manassas, VA area, contact Manassas Smiles today. Schedule an appointment with Dr. Hassan to to see if Invisalign® can treat your cosmetic concerns, bite problems or other dental health issues.